South Indian star Suriya, whose debut Bollywood film has just hit the theaters across India is not worried about comparisons being made between him and co-star Vivek Oberoi. In a statement to the media, Suriya says that he was aware of the fact that Vivek Oberoi had received very good reviews for his performance in Rakth Charitra. 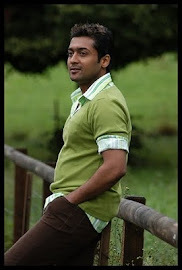 But Suriya is also quick to remind the media that he had complete faith in his director Ram Gopal Verma, and it is with the help of his director that he put in his best performance for his first Bollywood film Rakth Charitra 2. Suriya essays the role of Suryanarayanan Reddy in the RGV production Rakth Charitra 2, the political leader who rises in opposition to Vivek Oberoi’s character Paritala Ravindra. According to reviews of Rakth Charitra 2 and the opinions of critics in Bollywood, Suriya put up a wonderful performance as Suryanarayanan Reddy, his expressions were very close to what the character would have felt in situations like he was in. However, it was the script of the Ram Gopal Verma film which played spoilsport, not being able to explore the complete talent of the South Indian actor. Though Suriya gives out no details about his equation with Bollywood actor Vivek Oberoi, he tells the media that he was so busy filming his first Bollywood venture that he had no time to think about anything else in life, his competition with Vivek Oberoi included! 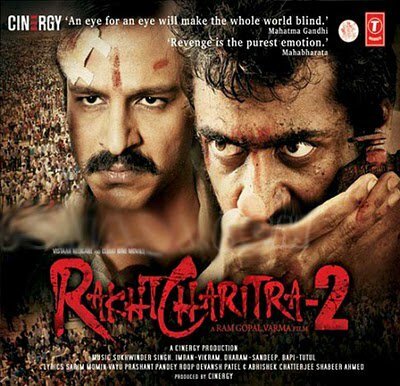 Rakth Charitra 2 was indeed Suriya’s film just as the first part was Vivek Oberoi’s, and we agree that there was no need of comparisons between the actors’ performances.